KARACHI (Reuters) – In the heart of one of Pakistan’s most dangerous neighbourhoods in the teeming city of Karachi, soccer pitches are keeping vulnerable teenagers from joining abundant gangs, kidnappers and extortion rackets. Dozens of hard-scrabble soccer clubs give youngsters with few chances for education or work the opportunity to get off the streets and even dream of getting a nod to join a national team or a semi-professional club. “There is so much talent in Lyari. It can be a great way of keeping these kids away from drugs and street crime especially if they are well paid and rewarded,” said Yacoob Baloch, a soccer coach at one of the clubs. “Because of my focus on football, my mind has never wandered off to other things like drugs or violence,” said Muneer Aftab, 15, who led Pakistan to victory in the under-16 South Asian Football Federation Championships in 2011, defeating arch-rival India. 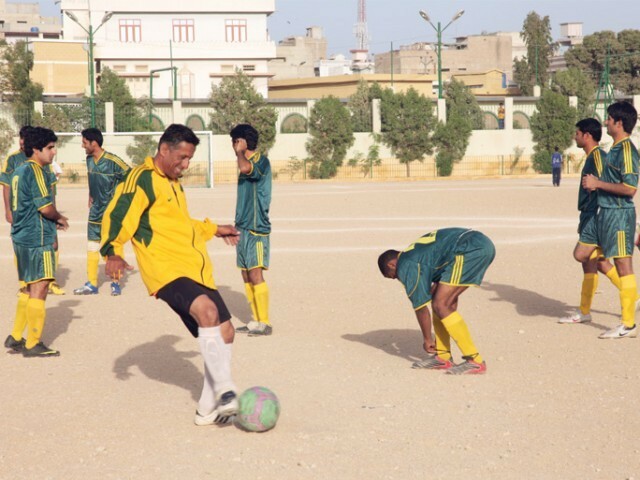 There are 98 registered soccer clubs, 11 football grounds and two stadiums in Lyari.